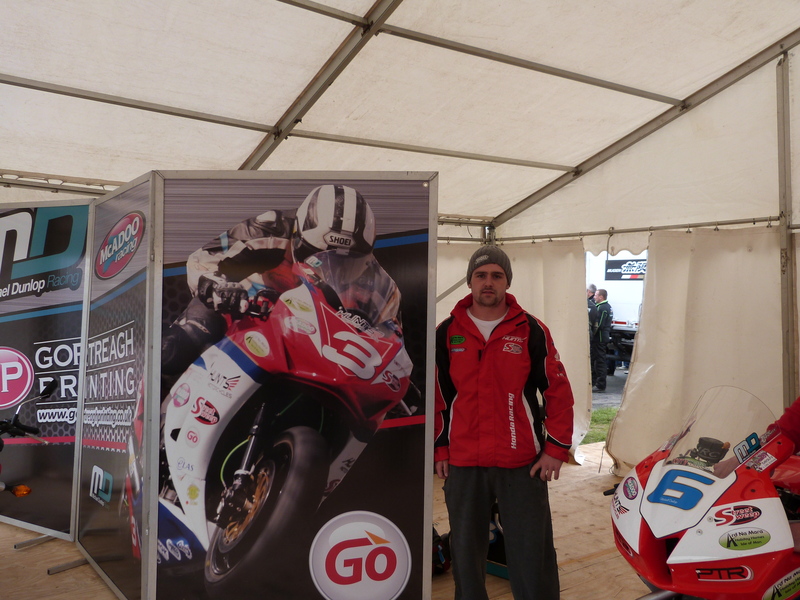 Michael Dunlop has this year arguably produced his best full season of road racing so far in his career. The main highlight of the season for Michael has being winning 4 races in a week at this year’s Isle of Man TT. Michael’s new lap records for the supersport and superstock races have in particular impressed many. His new superstock TT lap record of 131.2 mph is regarded by many as the best lap ever produced at the Isle of Man TT. Following on from the TT Michael has recorded race wins at the Southern 100, Armoy road races, Skerries road races, Ulster grand prix and at the classic TT races. In the last three years at the Isle of Man TT Michael is one of only three riders including John Mcguinness and Michael Rutter to have won TT races in 2011,2012 and 2013. This statistic proves how competitive Michael has being at the TT in recent years. The next road race coming up for Michael is the Killalane road races where Michael is competing for his Michael Dunlop racing team on a CBR 1000 Honda Fireblade superbike and on a PTR prepared CBR 600 Honda. After the Killalane road races Michael is next in action at the Scarborough gold cup where one of the highlights for road racing fans will be seeing Michael in action in the sidecar races for only the second time on road race circuits.